The Wizards won their 4th straight game last night in what has been probably the greatest and most fun homestand in the history of the Wizards organization. (Can you remember 4 wins in a row at home before like these wins?) And what do you know! 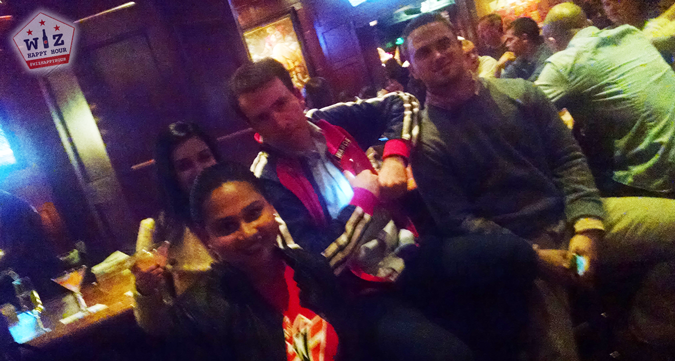 Wiz Happy Hour has been meeting up before each and every one of them! 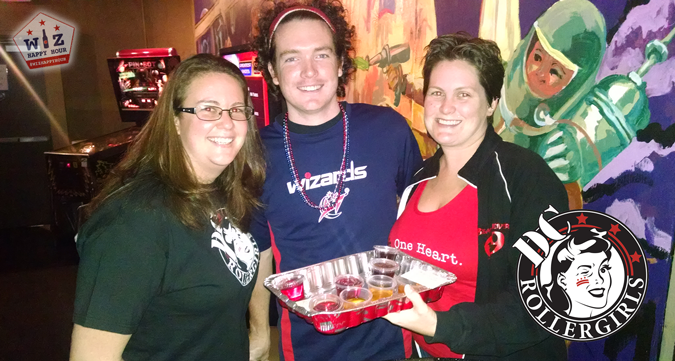 Before last night's blowout win over the Denver Nuggets, Wizards fans met up at Rocket Bar for some pregame drinks, some Wizards talk, and some Jell-O shots with DC's female roller derby team the DC Roller Girls (Photos)! 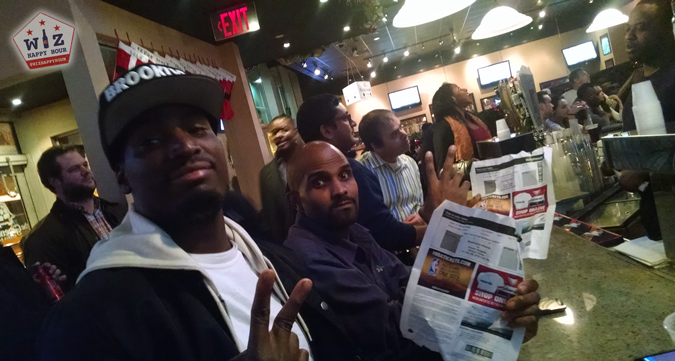 We even gave two lucky guys free tickets to the game! 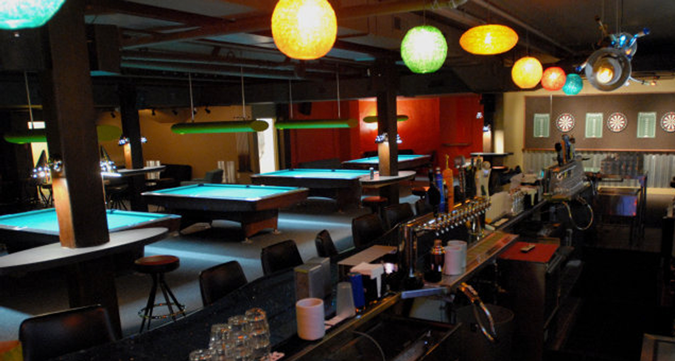 Rocket Bar happy hour isn't anything to write home about. You get $4 drafts of whatever the beer of the month is and $4 rail drinks and wine. The specials run every single day including weekends and last til 8pm and they let you bring in your own outside food which is nice as well. The beer of the month was Brooklyn Brown Ale, but because of Jell-O shot filled circumstances we failed to take advantage. 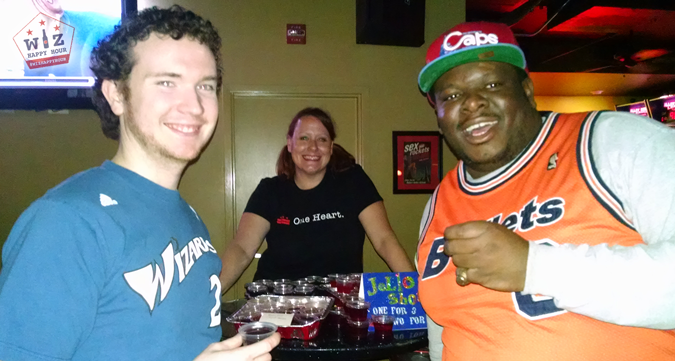 The Wiz Happy Hour just happened to be coinciding with a DC Roller Girls Fundraiser, and the girls were selling strong as hell Jello shots for $3 a piece. These weren't just random shots either. They had tons of different wild flavors including my favorite, Sailor Jerry Berry. These women are really awesome and you should totally check out their website to learn more and eventually go out and watch them in person. This Friday night couldn't have started out any better...and then it did. 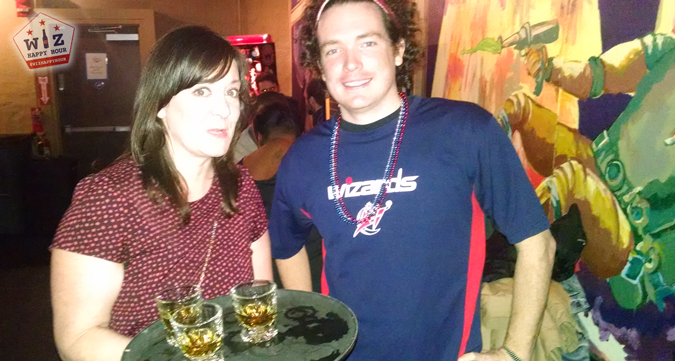 Just before we headed into the arena to watch the finale of the greatest homestand ever, a Jamison Whiskey rep came by and handed the group a whole tray of free shots. Legendary status achieved. 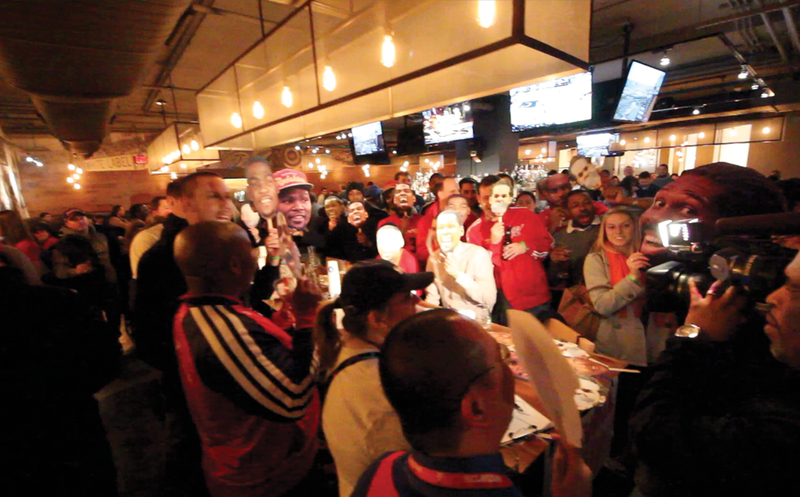 Then we became legend as we gave away 2 more free tickets to that night's game. 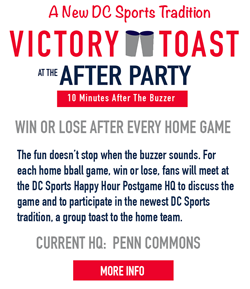 We hope you can make it out to our next pregame happy hour as you never know what is going to happen. See you out there & Go Wiz!